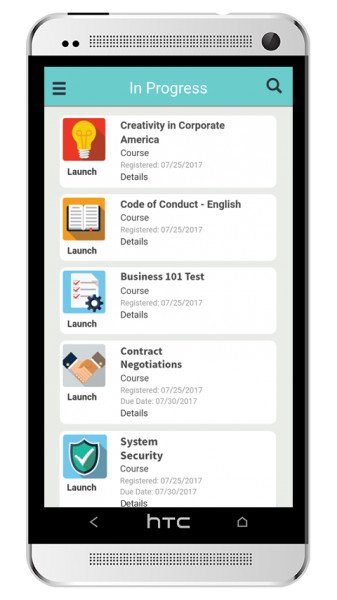 With eSSential Mobile, your users are no longer relegated to a computer when they need to complete training. They can take training with them in true on-the-go fashion and complete it whenever and wherever it’s most convenient for them. Homepage – Allows users to glance at the courses they have in progress, including any upcoming due dates. 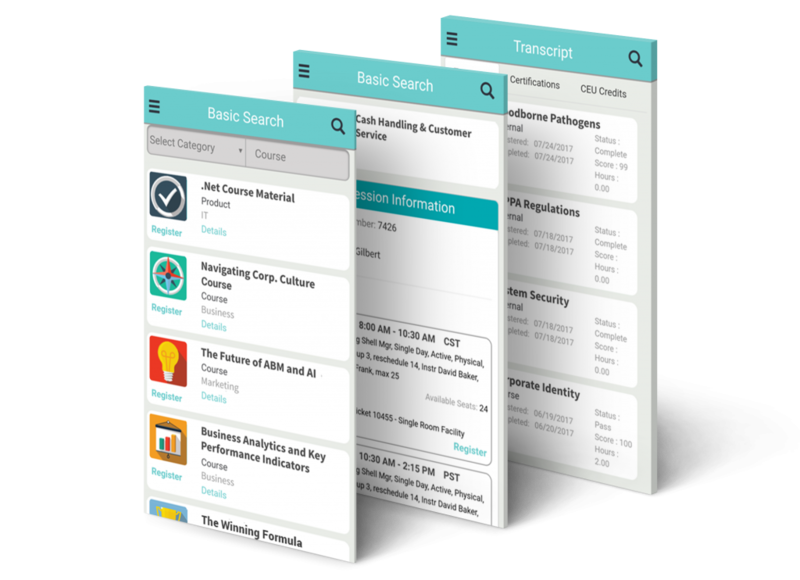 Basic Search – Allows users to search the catalog for courses to take; they can also register for classes within the app. Profile – Users can update their profile, including personal data and profile picture. Transcript – Shows user course history, along with certificates and CEU credits, and is also where users can upload external certifications. Notifications – Users can receive alerts on their device about due dates, events, messages, or other course-related information. 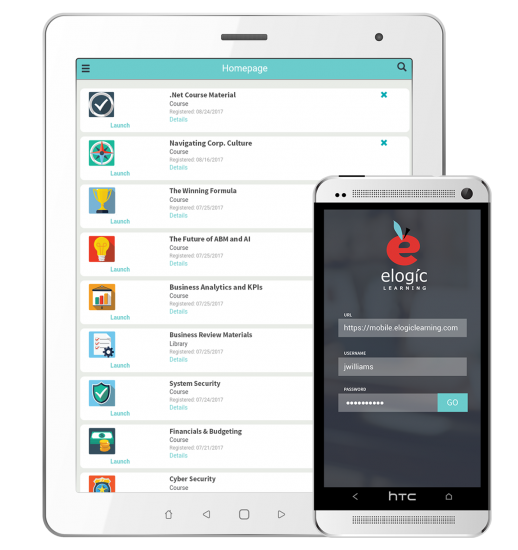 The eSSential Mobile App is perfect for both phone and tablet devices alike. When couple with mobile-optimized learning content, users get the full benefit of a truly on-the-go learning experience. What good would mobile training be if your users could only complete it when they’re online? With eSSential Mobile, users can complete training while offline and progress will automatically be synched with the LMS once they’ve connected to the network.